Chickens’ needs are few: food, water, shelter and ideally, a perch on which to roost. But folks raising chicks know the youngsters’ requirements are different. In addition to food and water, they need an adequate heat source and protection from drafts. Baby chicks grow fast, so you have to make sure your housing solution is large enough to handle them comfortably for the first weeks. 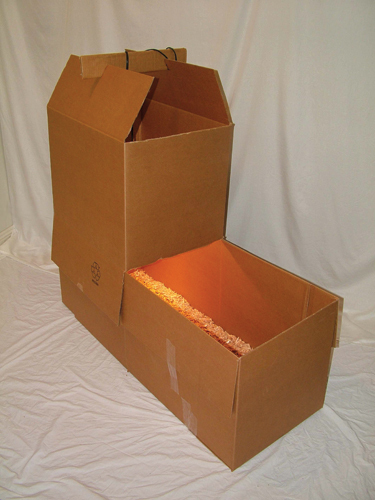 Our brooder how-to will show how to build a poultry brooder from lightweight, low-cost cardboard boxes. The completed brooder box will meet all a young flock’s needs. It also provides easy access to the birds and won’t leave you with a bulky brooder to store for later. To build a poultry brooder, start this project with at least two or three boxes of the same size. It is important that the boxes be as close to 24 inches square as possible and 15 to 18 inches deep. Standard moving size boxes are 24-by-18-by-18 inches and will work just fine for six to eight birds. 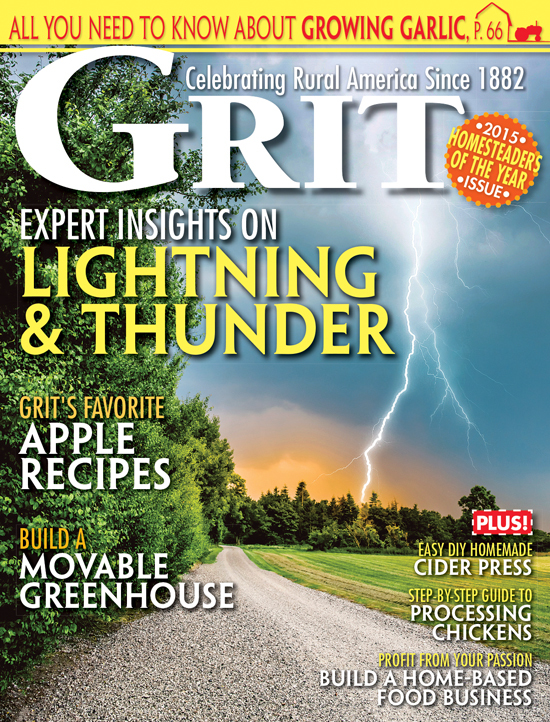 You should build your poultry brooder in advance before you’re already busy caring for chicks. Begin with one box upside down. Fold the two 24-inch flaps together and tape them in place with strong packaging tape. When you turn the box over and check the inside, the 24s will have met to make a single seam. This can also be taped as a seal and will keep the bedding added later from getting trapped in the folds of the box. Next, fold the 18-inch flap that touches the factory seam over the 24s you just taped and tape that down. This will help to have a stronger brooder later on. The other flap can remain loose. 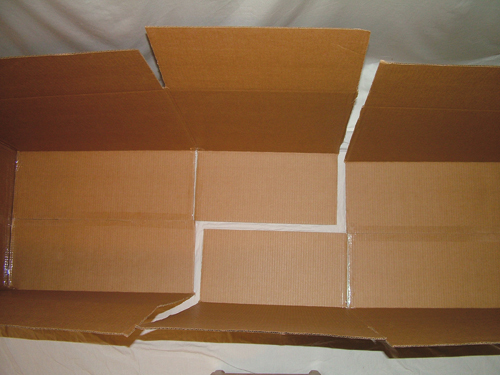 Repeat this process for the next box until you have two folded boxes that are open at the top, with one flap hanging and one seam on the inside bottom. Cut down the side of each box at one corner that meets the loose 18-inch flap. It makes no difference which corner you cut, but cut the same corner on both boxes. When the loose 18-inch flaps are folded under and the sides are opened out, line the boxes up to fit together like two puzzle pieces. Slide the boxes together. The two 18-inch flaps should overlap the 24- inch flaps that were taped together on the inside. Thoroughly tape down all the flaps and seams on the inside of the box, making sure not to leave anything loose. You now have the essentials of your cardboard chick brooder box. When finished, place a heating lamp at one end and food and water at the other. Cut off all the top flaps on the food end as they will only get in the way of reaching the food and water. On the other end (where the lamp will be), trim off all but the two 24-inch flaps. To make a bracket to hold the lamp from the remaining flaps, take one of the 18-inch flaps that has been cut off and mark it lengthwise in thirds. Fold the piece like a letter until it’s an 18-inch-long, 3-inch-wide strip; completely tape it along the seam. Make two angled cuts into the folded (non-seam) side. Make the cuts almost halfway through the width of the piece with the angles facing in. After cutting, slide the two remaining 24-inch flaps into the cuts, and the bracket will sit steadily on top of the brooder. You can hang your heat lamp from this on one end of the brooder and still access the food and water on the other. The chicks will stay under the light while they sleep or rest and visit the food as needed. You can place the food and water closer to the light in the early stages and separate them more as the chicks mature. If you chose to start your flock early in the year in a cold winter climate, your chicks may be indoors long enough to outgrow the maximum height of the poultry heat lamp. 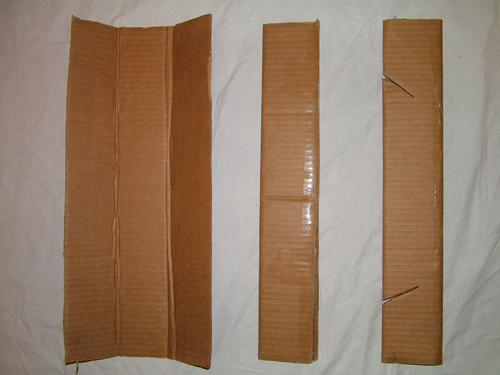 To secure the third box in place, tuck the 18-inch flap inside and the two 24-inchers on the outside. Tape down the 24-inch flaps from the original brooder. The bracket to hold the light can now sit on top of the third box, providing room below for the growing birds. You can put a few holes on the outsides of the box and slide a dowel through to make a low roosting bar. After your chicks have grown feathers and are ready to go outdoors to their new coop, you can dispose of your brooder. Since it’s cardboard, you can either compost it or lay it under a new garden bed. It will help keep weeds away, break down into the soil on its own and help a future garden grow since it’s loaded with chicken manure. Cool use of a box. Thanks for a great post !